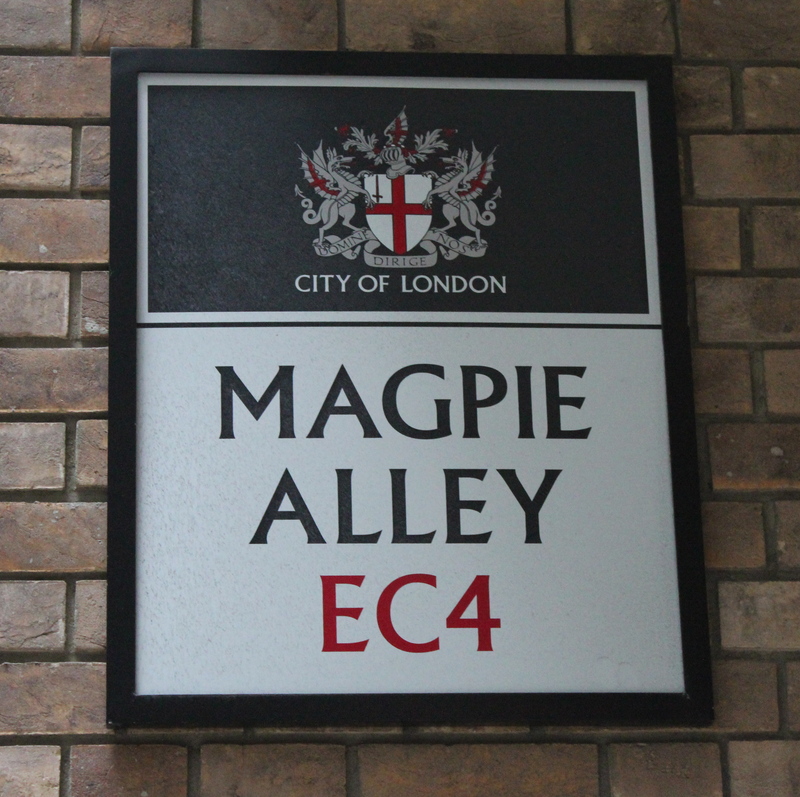 Next time you find yourself in Fleet Street why not take a cheeky detour along Magpie Alley? This little lane not only commemorates the area’s history but contains a hidden surprise for visitors in the form of a late 14th century crypt. A wall of illustrations, photos and text along the alley celebrates the area’s long association with the printing and newspaper industries. 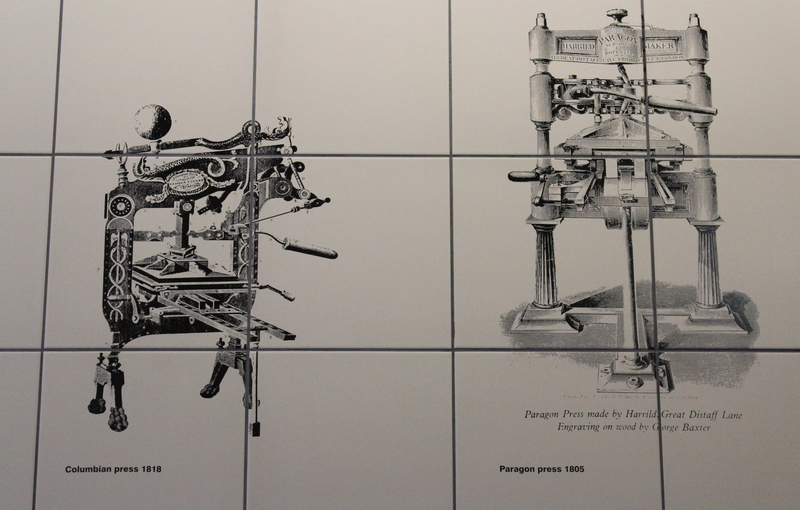 These flourished here for centuries, starting with the early printing presses (circa 1500), right up until the late 1980s when the last newspapers left in search of cheaper rents. 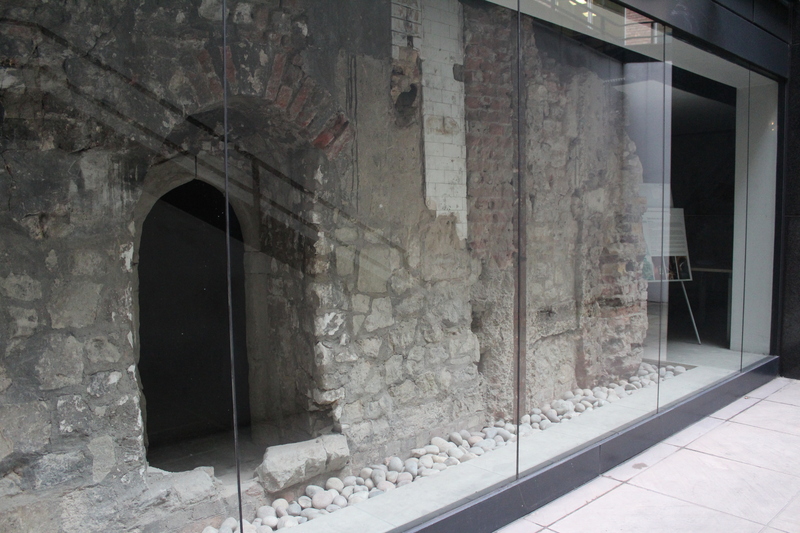 Venture to the end of the alley and down the flight of stairs directly in front of you and you will find the remains of the crypt – imprisoned behind glass in the basement of a law firm. This site was home to the Carmelite Order of the White Friars since 1253. Their domain once stretched from Fleet Street to the Thames, and at one time included a church, cloisters, cemetery and garden. After Henry VIII disbanded the priory in the mid-16th century and gifted the land to his doctor the buildings deteriorated, with the crypt at one stage having the rather unglamorous function of a coal cellar. The crypt’s remains were re-discovered in 1895 during construction, and it was restored in the 1920s. It was originally located on the eastern side of the site but was moved to its present location – balanced on a concrete raft – when it found itself on the wrong side of re-development in the late 1980s after the newspapers’ exodus. Magpie Alley is not searchable on Google maps – adding to its secretive nature – but can be found off the eastern side of Bouverie Street, towards the Fleet Street end. The ‘lantern’ you will see if you look through the crypt’s arch burns day and night.